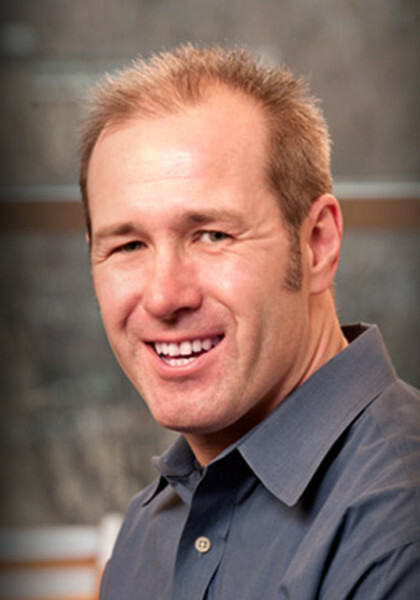 Professor William Irwin is the creator and editor of the “Blackwell Philosophy and Pop Culture” book series. When I was in college studying philosophy, there was one class I was having a particularly hard time understanding. I was reading through my copy of Star Wars and Philosophy in preparation to write my senior thesis when I stumbled across an essay that explained the very concept I was having trouble grasping. Seeing it explained through the lens of one of my favorite obsessions made it much easier to understand. That’s the beauty of the “and Philosophy” series – if you are a fan of any number of things found in popular culture, there is most likely a book that pairs that subject with philosophy. We recently sat down with Professor Irwin to talk about the “and Philosophy” series. Please enjoy! 4LN – Can you tell us a little about your background, and what led you to write this series? William Irwin – I’m a philosophy professor at King’s College in Pennsylvania. I’ve always loved movies, TV, music, and pop culture in general. So the connection between pop culture and philosophy has always seemed natural to me. The books began because, as a new professor nearly twenty years ago, I watched many of the same movies and TV shows that my students watched, and I used to reference them in class. Students found it fun and helpful. By networking with friends and colleagues at other colleges, I discovered that other philosophy professors shared my fondness for pop culture and saw the pedagogical value of using it to explain philosophy. So, to me, it seemed like a good idea to take this beyond the classroom by putting it in book form. 4LN – What went into seeing this project become a reality? At first it seemed like an oddball idea, and not everyone was interested in it or appreciated it. But with time and persistence philosophy-and-pop-culture has become a recognized genre, occupying lots of shelf space in the philosophy section of major bookstores. 4LN – Some of the entries cover some pretty high level philosophy while others are more “Philosophy 101.” How do you decide what makes it into the books? We really want the books to be readable for smart fans of pop culture. No background in philosophy is assumed. Because the books all include contributions from a variety of authors, the level of accessibility tends to vary, but we work hard in the editing process to make each chapter as accessible as possible. No topic in philosophy is out of bounds, but some are easier than others to discuss, adapt, and interpret. 4LN – How would you say using pop culture helps people learn philosophy? The British philosopher Mary Poppins said that a spoonful of sugar helps the medicine go down. That’s the basic idea with these books. The pop culture makes the philosophy easier to swallow and digest. The books meet readers where they are, as fans of pop culture, and take them from there into the realm of philosophy. Of course, there is something inherently philosophical about much of the pop culture we interpret, and so we are often building on something very interesting and insightful that is already there in the pop culture. 4LN – There are so many books in this series that it’s probably hard to choose, but which would you say is your favorite? Well, I’m a huge fan of old school heavy metal, so my own personal favorites are Black Sabbath and Philosophy and Metallica and Philosophy. 4LN – What advice do you have for someone contemplating a philosophy class or degree? Aspiring philosophers, if you will. Go for it! You can do anything with a philosophy major. It’s an ideal major for smart, motivated people who have a vision of what they want to do in life. The philosophy major provides a true education, rather than mere training. Most on-campus interviewers are interested in interviewing “all majors.” This is because most employers seek smart people who are able to think critically and respond positively to changes and problems. 4LN – I remember reading once that some things get so pervasive in society (in this case they were talking about the Star Wars franchise) that they eventually not only reflect culture, but help generate culture. What are your thoughts on that? Certainly that’s true. Gangster fiction comes to mind. I don’t know if it’s true, but I’ve heard that during episodes of The Wire actual conversation on wiretaps for drug dealers would decrease because they were watching the show. And plenty of real life gangsters have referenced and mimicked The Godfather and Goodfellas. 4LN – What plans do you have at this time for any future “and Philosophy” books? We always have new books in the works. The ones I can mention at the moment are Star Trek and Philosophy, True Detective and Philosophy, Wonder Woman and Philosophy, Alien and Philosophy, and Lego and Philosophy. 4LN – Finally, what would you say is your favorite nerd-culture icon? I was lucky to be of the generation who grew up seeing the original Star Wars trilogy in the theaters. So Yoda is my guide. I personally want to thank Prof. Irwin for taking time out of his busy schedule to talk with us. 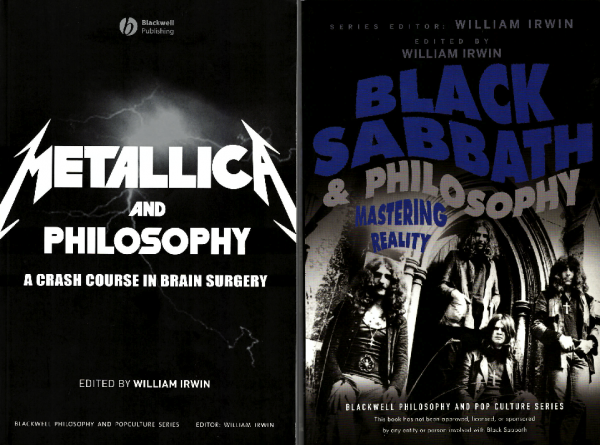 If you would like to learn more about the Blackwell Philosophy and Pop Culture Series, head on over to his website – ANDPHILOSOPHY.COM – or to your local bookstore’s philosophy section.